The Italian fashion house famed for a bold yet sophisticated aesthetic, presents its offering for the younger market with Armani Exchange. 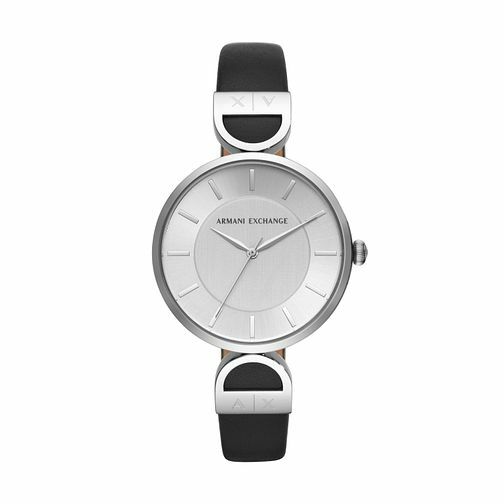 This chic timepiece exudes effortless style featuring a streamline silver dial beautifully offset by the silver tone time markings. The polished stainless steel case and contrasting slim fit black leather straps, give this watch the elegant uniformity to make it a fashion accessory that will complement any outfits.